Hi, my name is Jesse and I'm a hopeless beer snob and geek. It all started back in 1996 when I decided to move from my hometown of Scottsdale, Arizona to a little town on the Oregon coast called Coos Bay. I knew little about this place other than it wasn't 800 degrees in the summer, there weren't nearly as many people, and you could drink the tap water. At the time that was good enough for me. What I didn't know is that I had also landed smack dab in the middle of the bustling northwest microbrew movement. In no time I would be so taken by the quality and variety of beers available that I would never be able to go back to the bud long neck guy I was when I arrived. Within a couple of years a buddy and I began learning to brew at a local homebrew club. We were pleasantly surprised at the quality of beer that we were able to turn out almost from the beginning. Of course learning to brew required a great deal of research on beer styles and nuances within each. Sampling was the tough part of the hobby, but we went at it with gusto. I can say many years later that I have tasted hundreds of excellent beers from all over the northwest and beyond. Because of this fact, I feel at least marginally qualified to bring you the following list of my 10 best american brewed beers by style. I have included the breweries and towns brewed for each so that you can begin your own research if you like. I started with the Pilsner style as it is the closest to the American Lager style that most people are used to. This is the only Lager beer on the list, and also the lightest bodied beer on the list. Lagunitas makes a number of award winning and excellent beers but this is the only Lager they make. It is made with homage to the Czechozlavakian style Pilsners such as Urquell which are widely considered to be the world's best. The beer is made with copius amounts of Saaz hops, unroasted barley, and bottom fermenting yeast. It is clean, bright tasting, and spicy because of the Imperial European hops used. This beer tastes like what I imagine a fresh Bohemian Pilsner from Europe would without having aged past it's prime. I would recommend this beer to anyone who thinks microbrews are too heavy and bitter, as I think they will be pleasantly surprised. 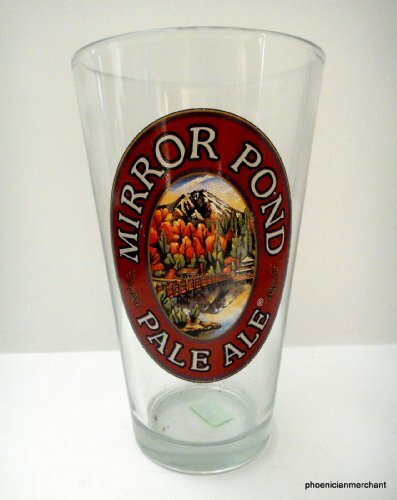 I'm going to get heat from my fellow beer snobs on this one because there are many excellent pale ales that are widely considered superior. This is my list however, so I don't care. This is Deschutes signature beer along with their Black Butte Porter and I think it deserves it's status on my list. It's a perfectly balanced pale ale that is full flavored but light enough still to be a session beer, or thirst quencher on a hot day. It's another beer that could ease mainstream beer drinkers into the microbrew scene. First let me say that this is my all time favorite style. Also, I'm grouping together the standard and double or imperial IPA's for the purposes of this list. Big IPAs are so full of flavor, so insanely piney and bitter, that choosing one from the myriad of excellent examples was difficult. Pliny however, is everything an imperial IPA should be squared. Its nose is perfect, the bitterness is clean and flavorful, and the amount of body stands up to the hops to balance it all out. How good is it? If you're a pub or store owner and not currently on "the list", good luck even getting any to put on your shelves or in your taps. I'm kind of a sucker for the classics and this is definitely one of them. A good hoppy red done in true northwest style, this amber carries a specialty malt package that offsets the hop bitterness nicely and distinguishes it from an IPA. It is additionally dry-hopped which creates a wonderful aroma and herbacious hop finish. I love a nice rich American brown ale on a windy coastal night! Downtown Brown is just such an ale. It's hoppy enough for us northwest hopheads but rich and malty at the same time. The toasted grains used impart a roastier flavor and mouth feel than the pales or ambers, but not yet as dark and rich as a porter or stout. Also I have to say this is one of my all time favorite brewhouses to visit. If you ever happen to be traveling highway 101 and find yourself in Eureka, make a point of stopping by. This is a world class brewery with an excellent pub menu featuring many of the brews worked into the recipes. In addition, it's housed in a 100 plus year old building once owned by the Fraternal Order of the Knights of Pythias! Oh, and it also holds the distinction of being the first microbrewery owned and operated by women. It may not be the northwest, but Stone is among the most respected microbreweries in the nation when it comes to quality and innovation. Their smoked Porter is one of the reasons why they have received so many accolades. Imagine a good, robust English style Porter but with the addition of a subtle amount of smoked peat. It's like a beer conditioned in single malt barrels! This beer is unique and tasty and pairs well with many different types of food from barbeque to chocolate cake. It's usually a pretty easy beer to find, and if you liked smoked foods you'll be blown away! We're back to Deschutes for this smooth, well balanced Stout. Many old world Stouts seem to have a problem with too much bitterness because you have both the hop bitterness and that coming from the darker grains. Obsidian doesn't have this problem. It is easy to drink, roasty and robust, and finishes clean. This is the Stout I was going for when I brewed for our wedding back in 2005. I have grouped Belgian beers together as a whole for the purposes of this list. 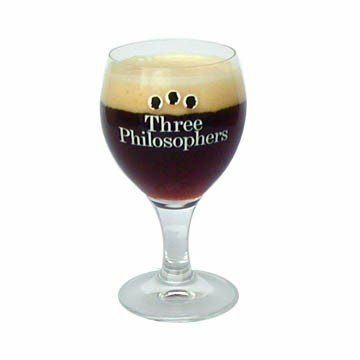 If you've had a big Belgian Trappist style or Trippel style ale then you know how unique they are. If you haven't, try this one out. Bring a friend though as it's 9.8% abv. You get that huge flavor profile that the malt/hop bill brings. Then you get the magic of the esthers created by the unique belgian yeast strains. Cloves, bananas, and coffee come through finished with a nice subtle bitterness on the back of the throat. It also happens to be a beautiful beer when poured leaving a nice creamy head of tightly beaded Belgian lace and a dark reddish/brown hue. The king of beers is not Budweiser, its barleywine. These high octane, rich, and cloying brews are meant to be aged like a wine and enjoyed on a cold winter night. Doggie Claws is a perfect example of a west coast style barleywine. It's hopped up like an IPA with simcoe and amarillo hops and the bitterness is balanced with pilsner and British crystal malts. This amazing brew will leave you stunned at how complex a beer can actually be. The addition of wild flower honey collected right from the flanks of Mt. Hood which bumps the abv to 11% will definitely get your attention as well! The fact that this is a 14% abv Imperial Stout brewed with coffee and casked in bourbon barrels should tell you enough. You're not going to drink more than one of these unless you have a death wish and a monster appetite. The one you do drink will knock your socks off though! Somehow the brewers at Goose Island threw together massive amounts of roasted specialty grains, hops, and coffee then stuck it in bourbon barrels and got a result that is nothing short of sublime. Words can't do it justice, just find one and be the judge yourself. I hope you find enjoyment reading about all of these wonderful brews, and maybe stick a few on your own list to test. The amazing variety and quality of domestic made microbrews has come a long way since decriminalization of homebrewing in the 70s. American beer lovers can now stand proud and say with confidence that many of the world's best beers are now brewed right here in the states! Haven't tried the Lagunitas Pils, but I recently discovered the Little Sumpin' and their IPA and I am a big fan of those. Thanks for sharing! Thanks, you can never do too much "sampling" imho.